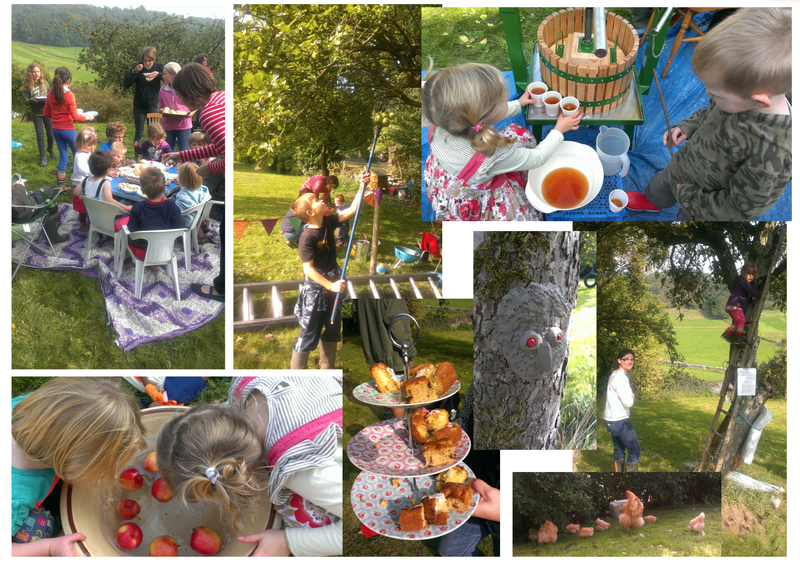 Last Saturday we held our first annual apple day. Thank you to all who helped pick, wash, chop and crush the apples into delicious apple juice. Home made soup, bread and cakes and a gaggle of assorted animals all added to the pleasantness of the day. Thanks to everyone who helped make the day so special. We were able to serve the juice at our Mud Kitchen Toddler Group this Friday and delicious it was! We will most certainly hold a similar event next year, so book the first weekend in October as a must for all the family! This entry was posted in Uncategorized on October 11, 2013 by grindleford13.